Welcome to Escala Central City. We have an optimized screen reader version of this site available. 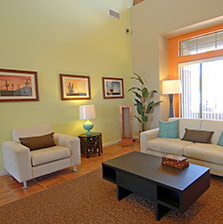 Escala Central City is in the perfect location, just minutes from Loop 202, Loop 101 and HWY 51. Whether you work in downtown Phoenix, Scottsdale, or Tempe you can reduce your commute time. 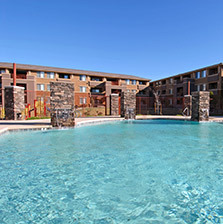 If you live an active lifestyle and are seeking places to play, you are just moments away from hiking trails, downtown sports venues, ASU, and Tempe Town Lake. Once you step through the glass block accented doorways at Escala Central City, you will immediately feel at home. The entryways lead to a “great room” designed for entertaining and busy households. 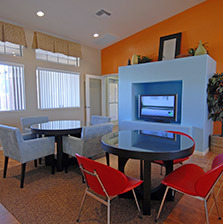 The kitchens are open yet cozy, have designer cabinets and counter spaces. The bedrooms have abundant closet space with additional storage on the private patios. Escala Central City has something for everyone. Whether you prefer to relax by the pool and water park, barbecue a quick meal, relax with family and friends near the playground or in the arcade, work out in the state-of-the-art fitness center, or just toss a football, you will have the room to do so. Privacy is a luxury that is standard at Escala Central City. Entering your community at the private entrance gate, park under the covered parking and enter your home that offers intrusion alarms at no additional cost.